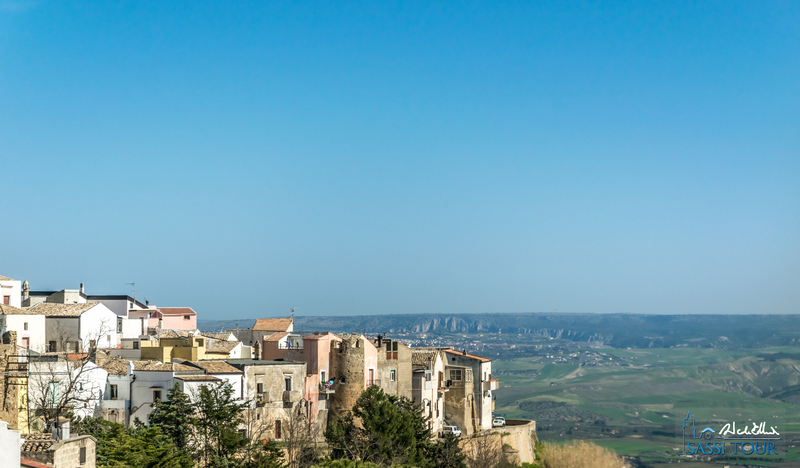 This pretty medieval village two steps (14 km) from the city of the Sassi, is among the smallest in Basilicata. The town still stands almost entirely inside the old walls. Walking around them, you can enjoy an amazing view over the Bradano valley, San Giuliano lake and towards the Collina Materana, made of sweet hills marked by grain fields, olive groves, small farmhouses and “jazzi”. Several towers appear among the houses, dominated by the Castle, visible from the SS7 road towards Matera. 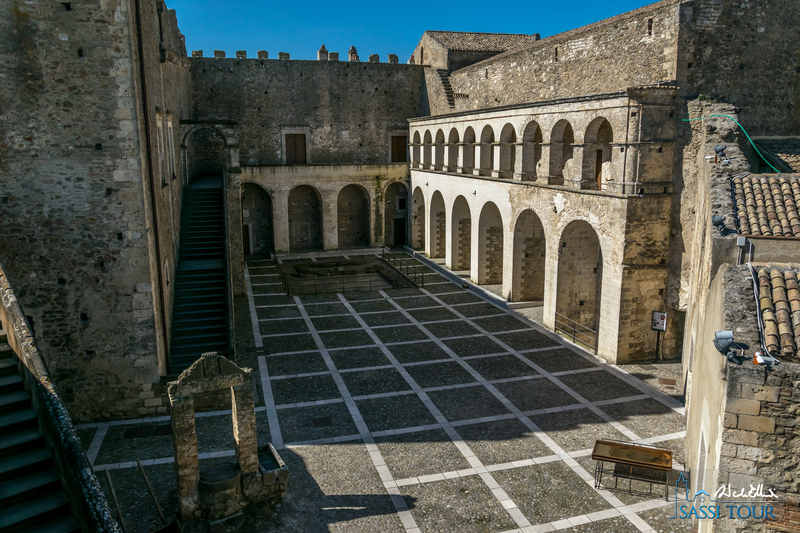 The Castello del Malconsiglio, once the seat of the famous knight and Italian hero Ettore Fieramosca, is one of Miglionico’s main attractions. Remarkably preserved, it witnessed several historical events, portrayed in an accurate multimedia reconstruction, enjoyable in the main rooms. The Conspiracy of the Barons, by the end of XV century, could be one of the stories that inspired George R.R. Martin for his A Game of Thrones novels. You’ve got all the ingredients: intrigues, war, murder, vengeance, betrayal. The Red Wedding is for amateurs! But the little Miglionico can also offer the bright side of Middle Ages, the arts splendor. Hidden in the nice church of Santa Maria Maggiore, there’s one of the all-time treasures of Italian art, the superb polyptych by Cima da Conegliano, a Venetian school masterpiece. Miglionico is also the place to taste one of the excellencies of local food, the dried figs with almonds, a true passion for the locals, self-nicknamed pappa culumbrèdd (figs eaters). And so is hospitality! It’s not rare for the visitors to be welcomed by local authorities. In the end, Miglionico represents one of the best answers to the question: what to visit around Matera? Length (including multimedia riconstrucion): 3 h.
Do you want a preview of some of the places we’re going to visit on this route? Take a look at this videos!